As we've learned in the last post, William LeBarron Jenny's Home Insurance Building of 1885 combined, for the first time, the use of the steel frame and the safety elevator. These technologies ushered in a new era of construction. No longer were buildings limited in height by the practical limitations of structural efficiency or physical practicalities. Now, the sky was the limit! Spurred on by the industrial revolution, the western world embraced these new technologies. Nowhere was this more true than in the United States. Its cities were much younger than cities in other regions of the world, and its existing building stock was less revered. Real estate prices were escalating rapidly, particularly in the downtown areas of its major cities. The oilfields, railroads, and industry resulted in great wealth by a small industrious class and the emergence of a middle class. All this combined to make the United States, and Chicago and New York in particular, the perfect setting for the race to the sky. In the early experimental years, Chicago led the way, but in the classic age of the skyscraper, New York reigned supreme. 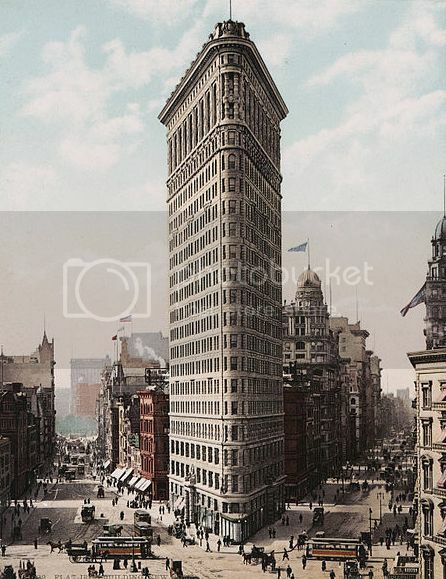 Daniel Burnham's Flatiron Building caused both awe and fear among New Yorkers, many whom feared that it might topple with a big wind gust! As skyscrapers grew taller and more prevalent, some of their negative consequences became obvious. Tall buildings cast long shadows and generate wind currents. This became painfully obvious with the construction of the Equitable Building. 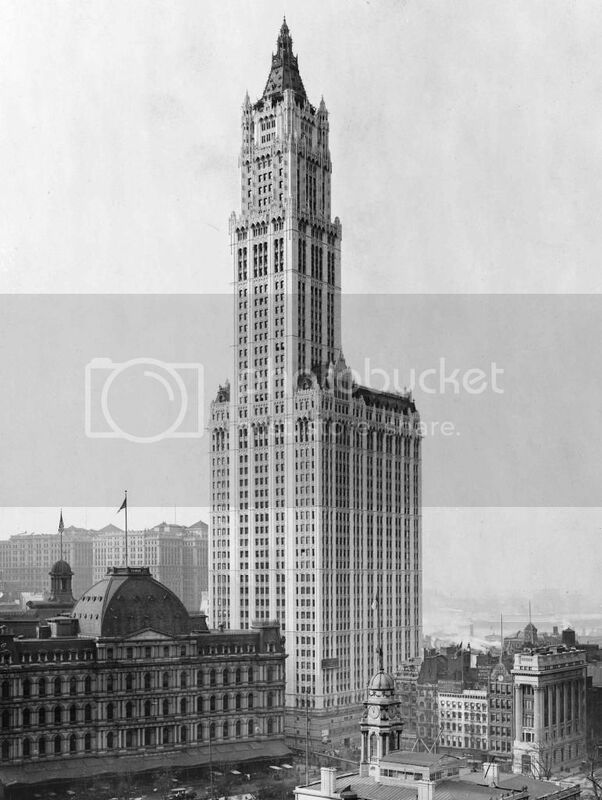 Zoning restrictions were passed to address such concerns and resulted in the "wedding cake" form of later skyscrapers, such as the Woolworth Building, then the world's tallest building. The Roaring 20s hosted an amazing race between three teams of ambitious developers, contractors, and architects - the race to become the world's tallest building. This "race to the sky" is well documented in Neal Bascomb's brilliant and entertaining book entitled "Higher". Following is brief synopsis of some to the high points. Both the Manhattan Company Building, designed by Craig Severance, and the Chrysler Building, designed by William Van Allen, began construction in 1928. The Manhattan Company Building, with an original planned height of 840 feet, was first out of the blocks. 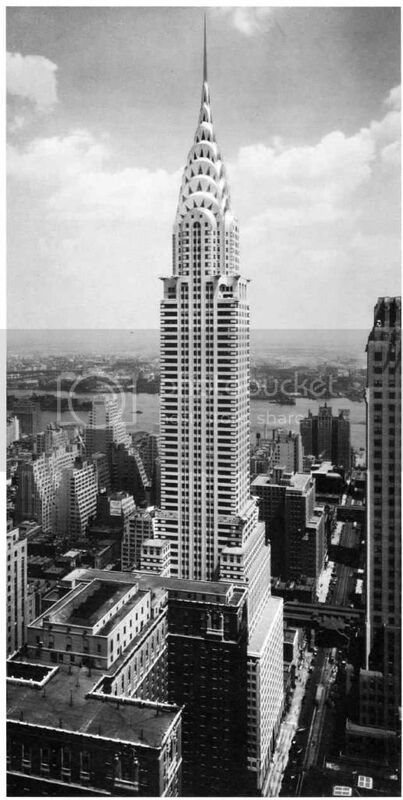 The Chrysler Building, originally designed an unfortunate two feet shorter, was quickly on the its heels. Both buildings rose at the amazing clip of about four stories a week - steel frame first, then curtain walls, followed by everything else. During the race, Severance, paranoid that the Chrysler Building might leapfrog his building at the last minute, announced the addition of three floors to the Manhattan Company Building. His building crossed the line first and became the world's tallest building, at 71 stories, or 927 feet. Severance's paranoia proved to be well founded and his record was short lived. Van Allen had a surprise up his sleeve. He and his team had designed an elaborate 125 foot spire, which it secretly constructed and then erected to great fanfare. 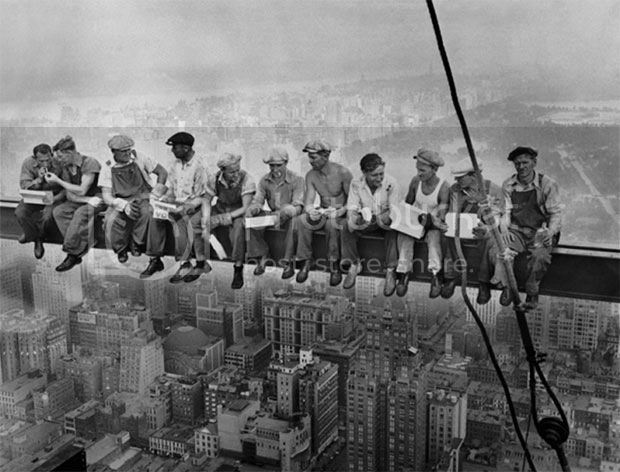 The final height of the Chrysler building was 77 stories or, more importantly 1,046 feet. Van Allen's celebration, like Severances' before him, was short lived. While Severance and Van Allen were fighting it out, a new competitor entered the race. 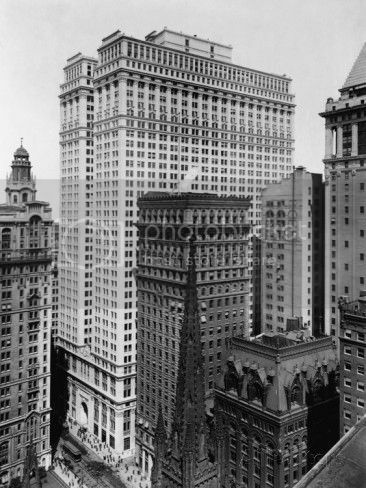 William Lamb of the firm Shreve, Lamb, and Harmon designed a building that would unquestionably eclipse both the Manhattan Company Building and the Chrysler Building. 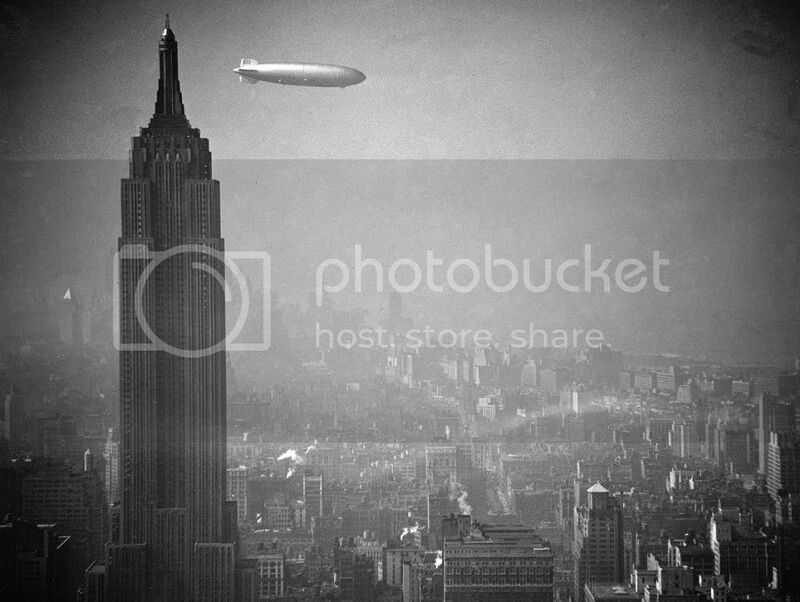 In 1929 the Empire State Building sprang from the bedrock and toward the sky. Unfortunately the construction coincided with the Great Depression. The project pushed forward, overcame a host of obstacles, and was completed in 1931, just a few months after the completion of the Chrysler building. At 103 stories and 1,454 feet, the Empire State Building took the prize for the world's tallest building. Not until the completion of the Twin Towers in 1970 was the height of the Empire State Building surpassed. The tallest buildings in the world are no longer in New York, or Chicago, or even in the United States, though we still retain a large stock of beautiful and creative high rise buildings. Our classic skyscrapers are perhaps America's greatest contribution to the canon of architectural history. While skyscapers are indeed high profile structures in the public eye, very few architects ever have the opportunity to work on anything so large and complex. In fact many of us started by designing houses. There is an interesting commonality in these types of projects which we'll investigate in the next post.....Hi Mom! Information given above is really useful. constructiontradex have top quality construction equipment that help the company and it's employees to perform their work. In addition to a detailed audit of monthly declarations on the progress of work done during the month, the two main following audits should be randomly conducted.